Warsaw, Poland is in the news today as the first stop for the President as he travels to Europe for the 2017 G20 Summit. The Group of Twenty will meet in Hamburg, Germany beginning on July 7. The Ball State University Libraries GIS Research and Map Collection (GRMC) has a large collection of maps of Poland and Germany. 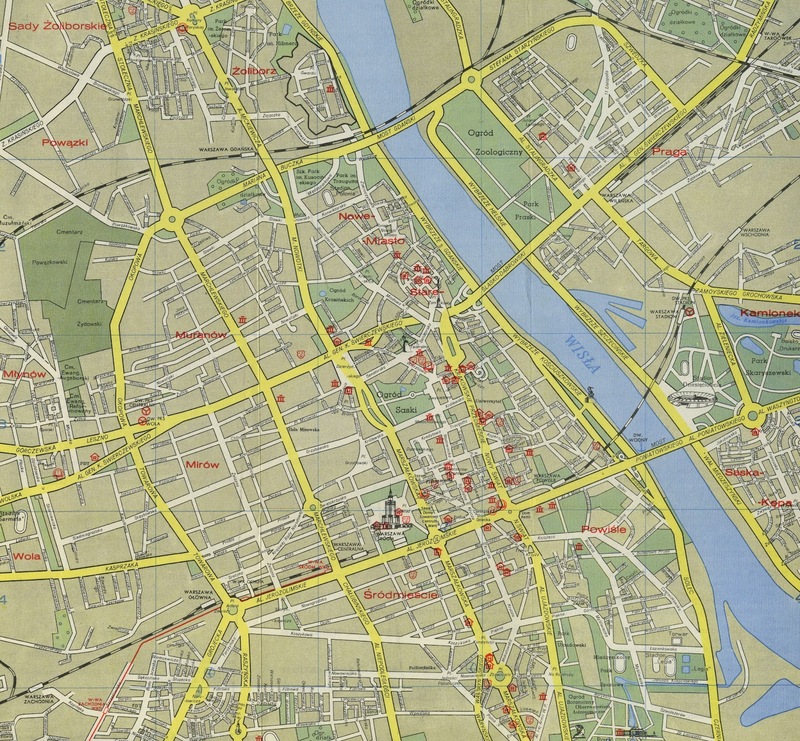 The GRMC includes a collection of maps of Warsaw, many of which are published in Polish. Some of the maps are published in Polish, English, Russian, and German. The maps include street maps, tourist maps, and maps of the city center. A replica of a bird’s-eye view map of Warsaw from 1780 is also available in the collection. Most of the maps were published by the communist state-owned cartographic company, Państwowe Przedsiębiorstwo Wydawnictw Kartograficznych. The Atlas Collection on the second floor of Bracken Library adjacent to the GRMC also includes a number of Communist-era atlases of Poland. Poland: A Historical Atlas provides maps about the history of the country. Environmental conditions and the conservation of natural resources are the focus of Atlas Zasobów, Walorów I Zagroźeń Środowiska Geograficznego Polski (Atlas of Resources, Values, and Degradation of Geographical Environment of Poland). The city of Hamburg, Germany is incuded on the map, A Traveler’s Map of Germany, published by the National Geographic Society and available from the GRMC. The GRMC also includes street and tourist maps of Hamburg, Army Map Service city plans from World War II, and a set of topographic maps of Hamburg. 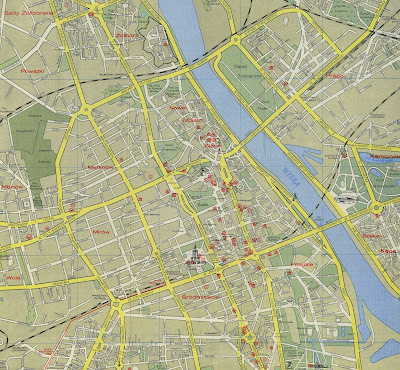 And the Atlas Collection includes road atlases of Hamburg and Germany. Custom digital maps and map posters of Poland and Germany are also available for download from the GRMC. The maps may be used for educational research, reports and papers, or exhibits. The maps from the GRMC circulate for two weeks or longer. Atlases may be borrowed from the Library for 28 days or longer.